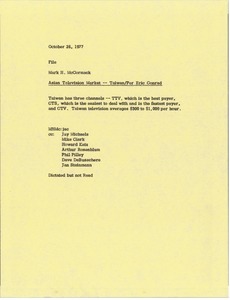 Taiwan - Commenting on the ease of working with Taiwan's three television channels, Taiwan Television Enterprise(TTV), Chinese Television System(CTS), and China Television Company(CTV), and noting the costs per hour. 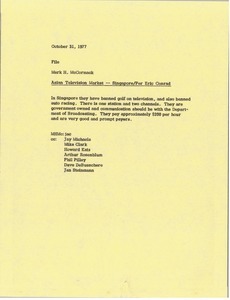 Singapore - Concerning Singapore television markets. 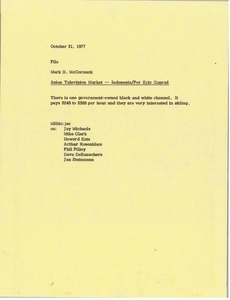 McCormack notes that golf and auto racing have been banned on television, and comments on the government owned stations. Malaysia - Concerning Malaysian television. 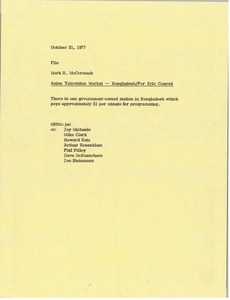 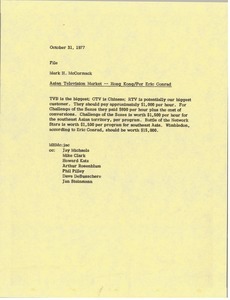 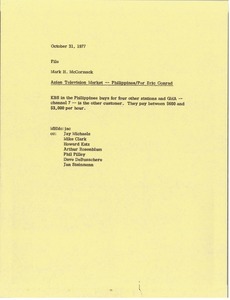 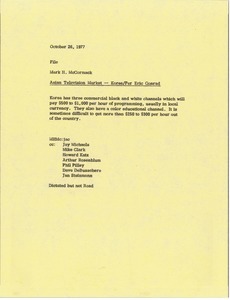 McCormack notes the cost per hour for programming on their black and white government channel and notes that an amount Conrad finds reasonable for Wimbledon.